Overseas Plant and Used Parts Sales, who are a long term UrParts.com parts supplier, gave us some feedback on how they dismantle a machine when they get it in for breaking. They recently purchased a fire damaged Cat 730 directly from the owner. The fire was located around the engine and under the cab. Luckily the truck was free wheeling which made for easier transportation. It was pushed onto a low loader with the help of a Cat 352F. When it arrived in their yard they pulled it off with the help of a Cat 345C. It’s essential to have the correct machinery available when moving immobile heavy equipment. Open a new Cat 730 Excel file with a new reference number for the machine listing the serial number, year, hours, cost price, transport price and from whom it was purchased. List all the main good components and put retail and trade prices against each item. Include a column for actual price realised to be filled in as parts are sold. Got to Cat Parts Lookup to get the part number and description for as many good condition parts as possible and list them in the Pasts Master List. Send the updated Parts Master List to UrParts.com so it can be added to your profile for future Part Number Matching with buyers requests. The machine is normally not broken down immediately into individual replacement parts. The engine and pumps are generally removed for indoor storage. When a buyers request comes, parts are usually photographed in situ on the machine and sent to the the customer. 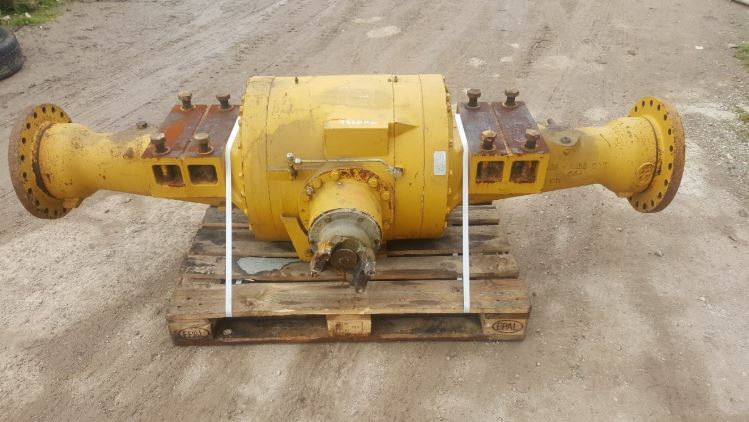 If the customer shows more interest in the part, for example the final drive or axles, and needs better quality photos; it can be removed, cleaned and checked for any damage. The part will then be better displayed for photographing. If a video can better show the quality of the part then this is also a great option. If that sale does not proceed then the photos and video are saved in the photo file for the next request. “When quoting a customer it is important to put yourself in their shoes” says Shane. On the first reply to the request I always give a price, condition, part number and where possible photos. The next phase of a successful part sale is usually when the customer asks for a transport price. 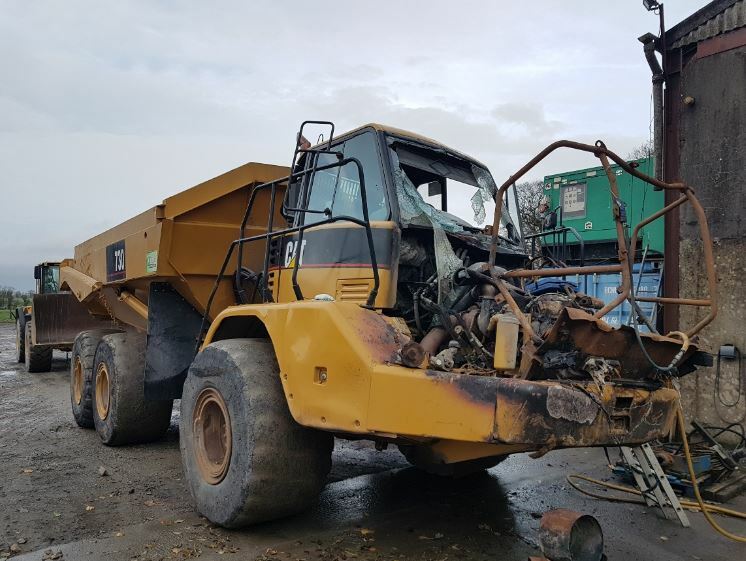 Before doing to the work of getting a transport price, I would do any additional checks to ensure we are quoting the correct part for the customer’s machine. If they have not already provided a part number or machine serial number I would request it to ensure there are no problems later. Depending on the size of the part, we use TNT or DHL. For Pallets around Europe we find Transland Group useful as they supply us with a fixed price list for most of Europe, depending on the size and weight of the pallet. For larger construction equipment parts or for shipping quotes outside of Europe there are many local logistics companies that can give us competitive quotes. Once the sale goes through I make sure to update the Cat 730 machine file to record the sale. This is important so we know at any stage how much that machine has brought in. As these records grow they are very helpful when when calculating how much to pay for the next Cat ADT that we bid on. If you’re looking for a part, submit your parts request with us now. Alternatively, get in touch with us today and see how we can help you. Copyright © 2019, UrParts Blog. Proudly powered by WordPress. Materia design by Iceable Themes.